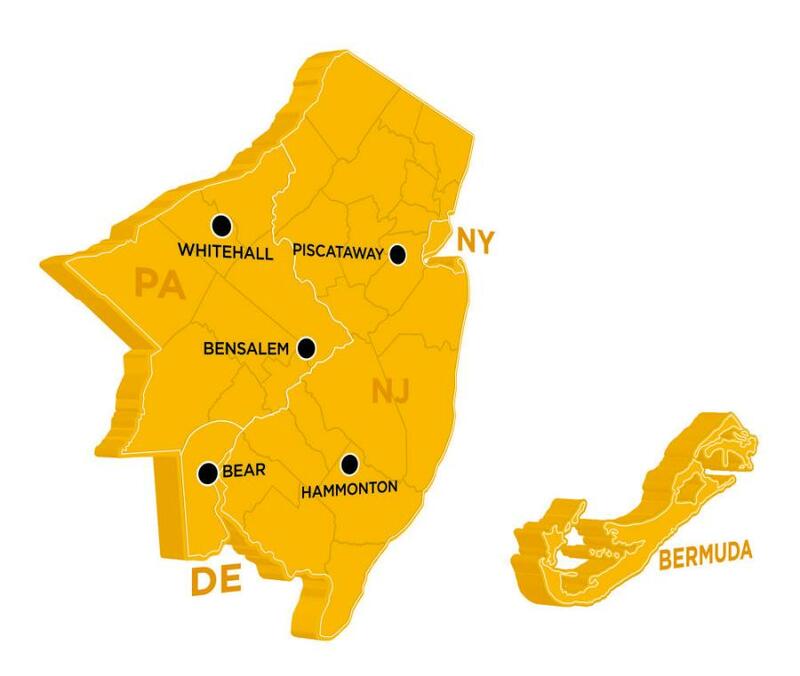 Foley Inc.'s territory stretches from Pennsylvania, New Jersey and Delaware all the way to Bermuda. Effective Feb. 8, 2018, Foley, Inc. of Piscataway, N.J., acquired substantially all of the assets of Giles & Ransome, Inc., headquartered in Bensalem, Pa. This transaction was the result of a mutual agreement between both dealerships and Caterpillar. “Our vision is to create customer experiences that create customers for life and we believe that the strategic decision to become one company will allow us to offer the best resources and knowledge to help our customers be more productive and competitive in the future.” said Jamie Foley, CEO, Foley, Inc.
As a result of the acquisition, Foley CAT's territory expands from northern New Jersey to the Delaware Valley, southern New Jersey and northern Delaware. Foley CAT will continue to operate out of its headquarters in Piscataway, N.J., and will now also operate out of Bensalem, Pa., (Ransome CAT's former headquarters); Whitehall, Pa.; Bear, Del. 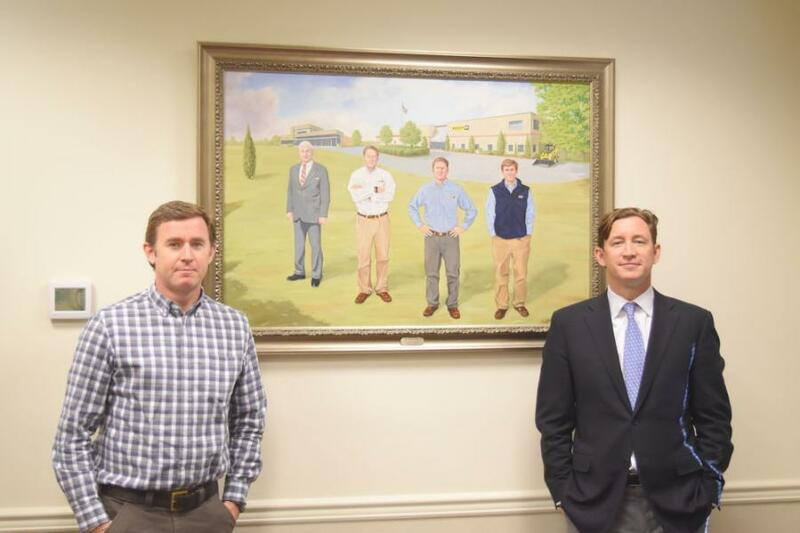 ; and Hammonton, N.J.
Foley anticipates a smooth transition for customers, many of whom were already doing business with both Foley CAT and Ransome CAT prior to the acquisition. “This acquisition will be seamless to our customers. What our customers should expect from Foley CAT is the continued best-in-class customer service, with the same familiar faces, working with them daily to help them get the job done,” said Ryan Foley, President, Foley, Inc. The acquisition brings together two Caterpillar dealers with a combined 160 years of industry experience and even more years of construction industry experience. About Giles & Ransome, Inc. In the 1700s, long before there was a Ransome CAT, long before there was a Giles & Ransome, a family in Ipswich, England was heavily involved in the iron business. In the 1800s, one member of this family, Ernest L. Ransome, took his knowledge and his entrepreneurial spirit and moved across the pond to San Francisco, where he built the first reinforced concrete building and bridges in the United States and started on a path that would lead to today's milestone. In 1884, Ernest patented the use of twisted steel bars for reinforcing concrete — the first “rebar,” according to Ransome CAT. A few years later, he designed and built the Lake Alvord Bridge as a single steel-reinforced arch, which allowed carriages to pass over the pedestrian entrance to California's Golden Gate Park. This was America's first reinforced concrete bridge. The structure survived the 1906 earthquake essentially without damage, while other, newer brick structures crumbled to the ground. It is now a national civil engineering landmark. In the early 1900s, Ernest moved from San Francisco to New Jersey and founded the Ransome Concrete Machinery Co. His son, Percy A. Ransome Sr., joined the company. After several years, Percy left his father's business and on Nov. 15, 1916, founded Giles & Ransome with Arthur Giles on $2,500 of borrowed money. The new company primarily sold concrete mixers and pavers, including ones manufactured by Ransome Concrete. It was in the height of the Great Depression in 1932 when Giles & Ransome made the decision to become one of the world's first equipment dealers of the Caterpillar Tractor Co.
Edward J. Foley Sr. was determined to hitch a ride into the future. As a foreman in a bicycle manufacturing company in Bedford, Mass., in the early 1900s, he became enamored with a new and faster, but fledgling, mode of transportation — the automobile. In 1911, he opened a Mitchell-Lewis Motor Company dealership in Newark, N.J. The trouble was that Mitchell didn't have the staying power of some of the other emerging brands of the time and Ed Sr.'s dealership went bankrupt after 10 years in business. He would catch a ride on another vehicle, however. After obtaining a loan from a friend, Ed Sr. opened a Chevrolet dealership on Broad Street in Newark, N.J., in 1921. In 1957, however, there would be an abrupt change in the direction of the business. A friend who was in the banking business called Edward Jr. and told him of an opportunity to become a Caterpillar tractor dealer. “This strategic consolidation is another chapter of our story on how Foley continues to evolve and grow in order to continue to support the customers who help power and build the communities we live in,” said Jamie Foley, CEO, Foley, Inc.